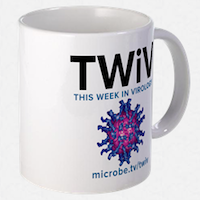 TWiM 59: Are viruses part of our immune system? Vincent and Michael discuss the finding that bacteriophage might be part of the mucosal antimicrobial defense system. Vincent, Michael, and Elio discuss changing populations of Emiliania huxleyi and their viruses in the North and Black Seas.